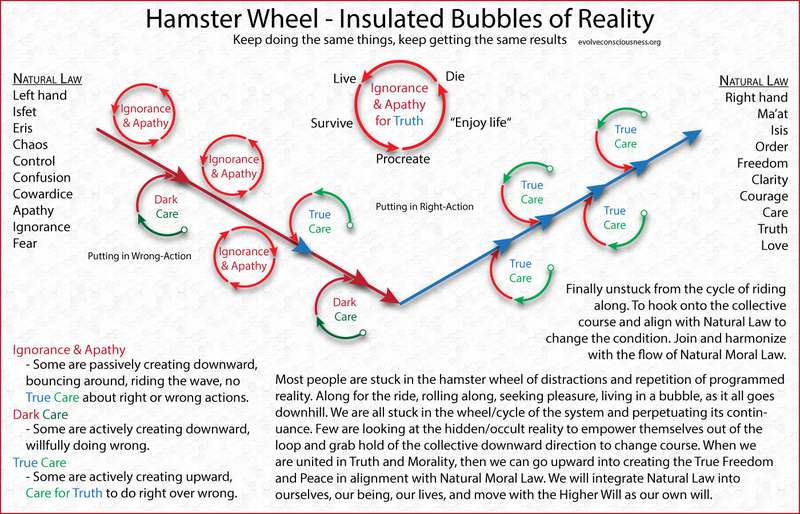 Most people are stuck in the hamster wheel of distractions and repetition of programmed reality. Along for the ride, rolling along, seeking pleasure, living in a bubble, as it all goes downhill. We are all stuck in the wheel/cycle of the system and perpetuating its continuance. Few are looking at the hidden/occult reality to empower themselves out of the loop and grab hold of the collective downward direction to change course. When we are united in Truth and Morality, then we can go upward into creating the True Freedom and Peace in alignment with Natural Moral Law. We will integrate Natural Law into ourselves, our being, our lives, and move with the Higher Will as our own will.